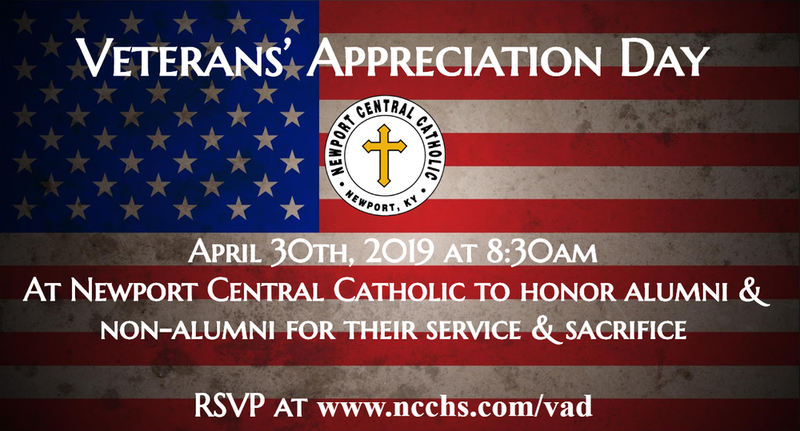 Newport Central Catholic will honor Veterans with a ceremony on April 30, 2019 at 8:30am. We invite Veterans from all branches both alumni and non-alumni to be recognized in front of our student body for their services. More details will follow concerning this event when it draws closer. We are truly grateful for the service and sacrifice of our Veterans!